The diag-parser is a small utility that can create protocol traces of the cellular communication. It is being developed for the Quectel UC20 and Quectel EC20 device but should work on other Qualcomm chipset based phones and modules as well. It works by enabling tracing using the DIAG protocol and then converting the proprietary tracing frames into the Osmocom GSMTAP protocol. The result can either be streamed to wireshark or stored to a PCAP file for later analysis. 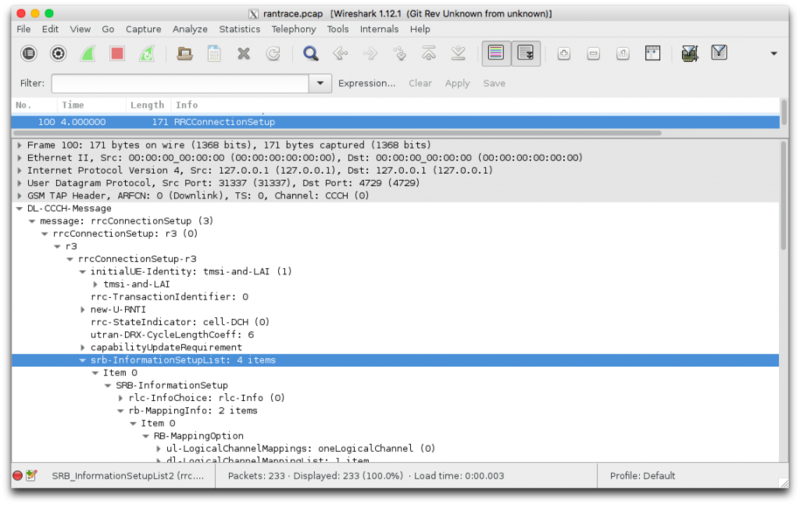 Wireshark can be used to browse the data. The utility can convert GSM CS, GSM PS, UMTS CS, UMTS PS and LTE. In the future GPRS RLCmac might be supported. Please find more details in the initial technical article.